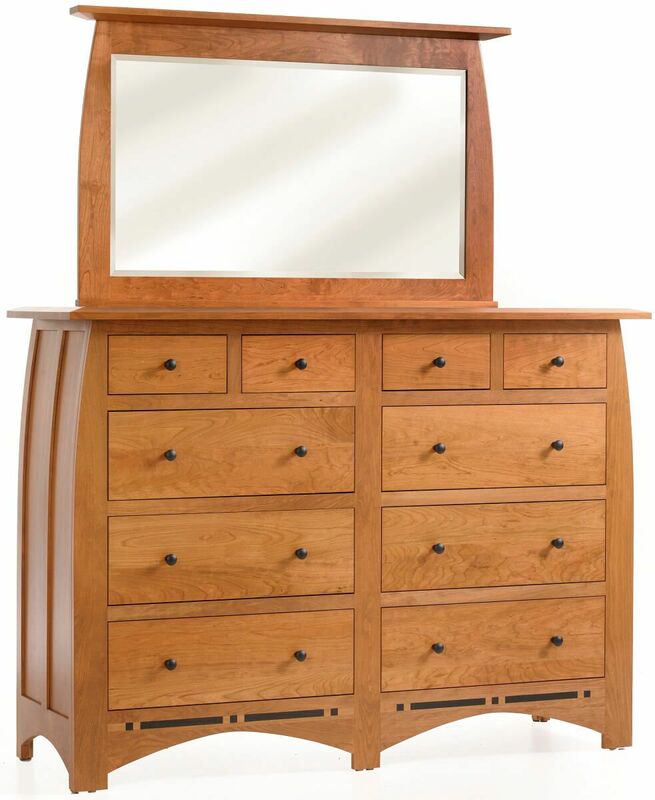 Handcrafted by our Amish artisans of solid hardwood, the Palmina High Dresser features the clean lines and practicality of the Mission movement. Shown in Cherry with our Summer Sun finish, the Palmina High Dresser is the perfect complement to your mission style bedroom. The full extension, soft close slides ensure ease of access to and the quiet and controlled closure of your dresser drawers. Using the options menu, indicate wood and stain for your own Palmina High Dresser before adding to cart. Unsure about your finish selection? Request up to four samples at checkout and make your decision once they arrive.